Deeply concerned about the U.K.'s future relationship with the European Union, businesses are waiting anxiously for the rules of separation. You know the breathless media hype about Brexit has gone into overdrive when the dreaded countdown clock makes an appearance. There it is on the (London) Telegraph’s website, counting down the days, hours, minutes, and seconds until the United Kingdom leaves the European Union — as if March 29, 2019, is New Year’s Day. Businesses don’t need a constant reminder of the impending deadline, and they’re not finding much reason to celebrate. In fact, they are deeply concerned about the U.K.’s future relationship with the EU. They also have short-term fears. We’re less than six months from the divorce, and nobody knows how it will happen. In the face of uncertainty, businesses are making contingency plans. AstraZeneca, one of the UK’s largest pharmaceutical companies, disclosed that it’s increasing its stockpile of drugs in both the U.K. and the EU by about 20%. It’s planning for the worst-case scenario that the U.K. leaves the EU without a trade agreement, and drugs made in the U.K. can’t be used in the EU because of the need for independent testing and licensing. The impact on international businesses is also being felt. Panasonic recently announced that it would move its European headquarters from London to Amsterdam. The Japanese electronics company blamed Brexit for the shift, worried about tax issues and potential restrictions on the flow of people and goods between the U.K. and the rest of the bloc. Panasonic’s exit has increased speculation about jobs leaving London, as multinationals consider their U.K. and European strategies as separate strategies. Foreign companies in the U.K. are looking to ensure that they can do business across the bloc if Britain loses access to the European single market. This is especially important in the financial services industry, as London is the financial capital of Europe. More than 1 million people are employed in the U.K.’s banking, insurance, and financial markets industries. In 2017, the U.K. exported $73.9 billion of financial services and other business services, such as legal and accounting, to the EU. Foreign banks have spent billions of dollars establishing the U.K. as their European headquarters because of its access to the EU market. They have a lot to lose if Brexit leads to the fragmenting of the U.K.’s financial services industry. The EU also has a lot to lose from the disruption of the financial system. Yet Brexit presents an opportunity for other European capitals to lure some of the financial operations and talent. Frankfurt, Paris, Amsterdam, and Dublin are in contention for relocation of operations. All of them are competing for Brexit’s spoils. The thing to keep in mind is that all four of the countries already have pre-existing specialties in financial services that will likely make all of them winners. Frankfurt is already an established major financial hub and is home to the European Central Bank and other regulatory institutions. Some Japanese banks have already said they will set up subsidiaries here. Paris has emerged as a financial trading hub. Over the summer Bank of America announced it would open a trading floor with room for 1,000 staff. Amsterdam’s fast data links will attract high-frequency trading firms and financial technology firms. Tradeweb, a U.S.-based bonds and derivatives platform, chose the Dutch city for its electronic trading hub. Dublin is already home to asset managers and back-office operations. 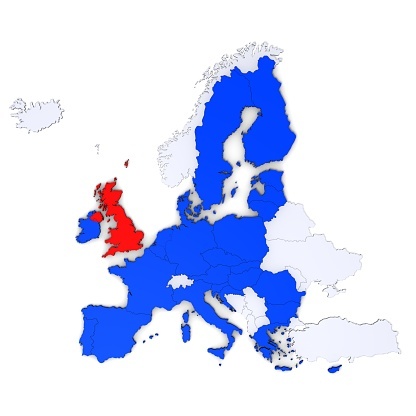 BofA and Barclays both selected the Irish capital for their European bases. Financial institutions and other companies will consider other factors and seek wider opportunities around the regulatory environment, political climate, legal system, language, and availability of talent. The choice is not clear-cut, given London’s dominance in financial services. It may come down to something more trivial like the availability of good schools for the banker’s children. Despite all the talk of relocation, businesses aren’t rushing out to hire moving trucks. The latest Reuters survey of big financial firms in London found that only 630 finance jobs have been shifted overseas. Everyone, it appears, is waiting, hoping, for the rules of separation. Kevin Butler is a managing director of Ireland for TMF Group, a professional services firm based in The Netherlands that provides accounting, HR, payroll, and other corporate services, with a focus on companies that are expanding internationally.